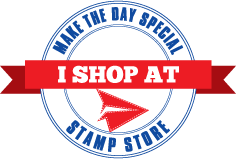 Make The Day Special Stamp Store Blog: Fishy Fun!! Hi there, looks like we are going to have another weekend of hot, dry weather so my subconscious took me in the direction of water for todays card!! 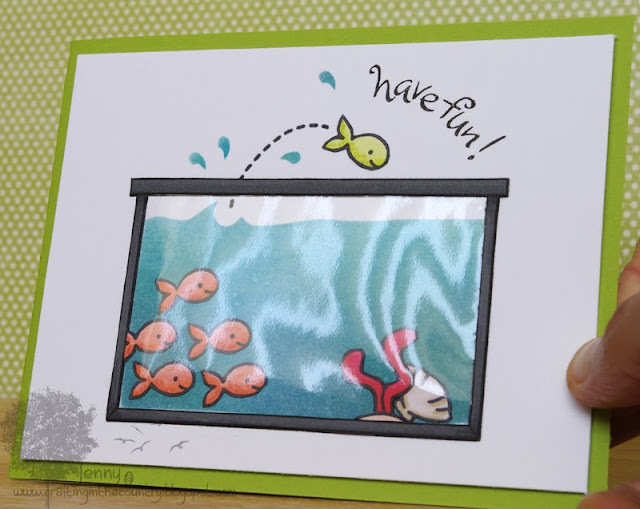 To give a realistic glass sheen to my aquarium I cut the frame from grey card and stuck a piece of stamp packaging behind it before adhereing to the card... not so bulky as acetate. 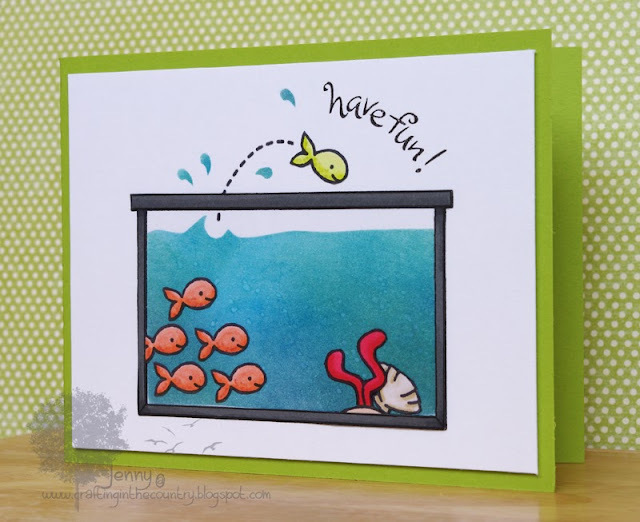 The fish are from Critters under the Sea and the sentiment is from another watery set called Swimsuit Season which are both out of stock at this time.